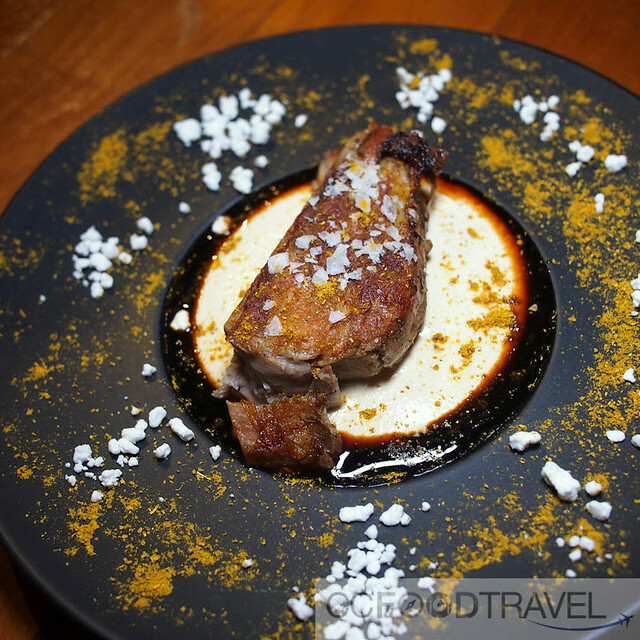 Coquo Restaurant and Wine Bar.. we went along last week to check out this restaurant located in Solaris Dutamas. The actual location if I told you Barfly, in Publika, is probably a better landmark. Coquo is located above Barfly. 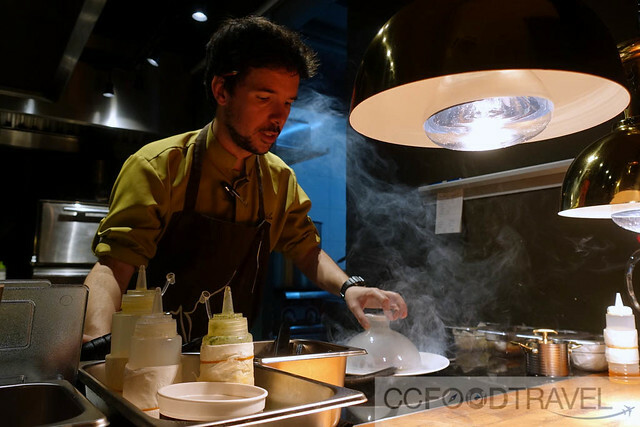 Coquo, meaning ‘to cook’ in ancient italian-latin is helmed by Spanish chef Chef Toni Valero. Foodies might remember him from the defuncted, Ohla Tapas. The cuisine here can only be described as modern boarding on molecular. They proudly mention using as much Malaysian grown organic produce as possible, directly from the smallholdings so diners are assured the freshest quality ingredients. 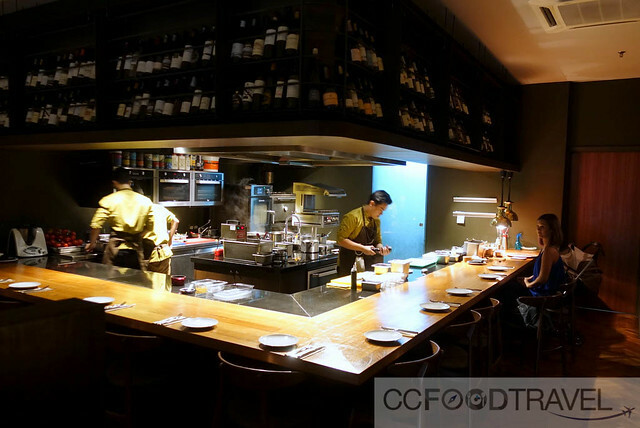 Coquo boasts a rather streamlined menu, but it’s supposed to be this way, says the Chef. The menu rotates every 4 months so that should be comforting knowledge to all foodies out there. 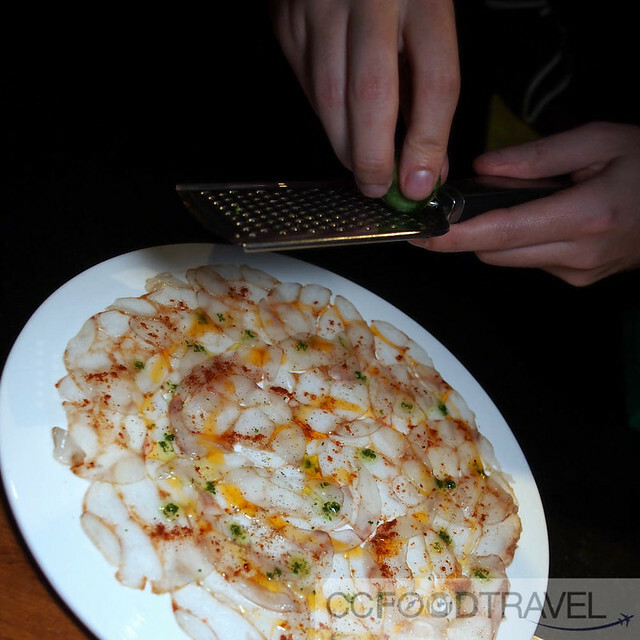 One of the highlights for us, was this clever dish of Prawn Carpaccio. 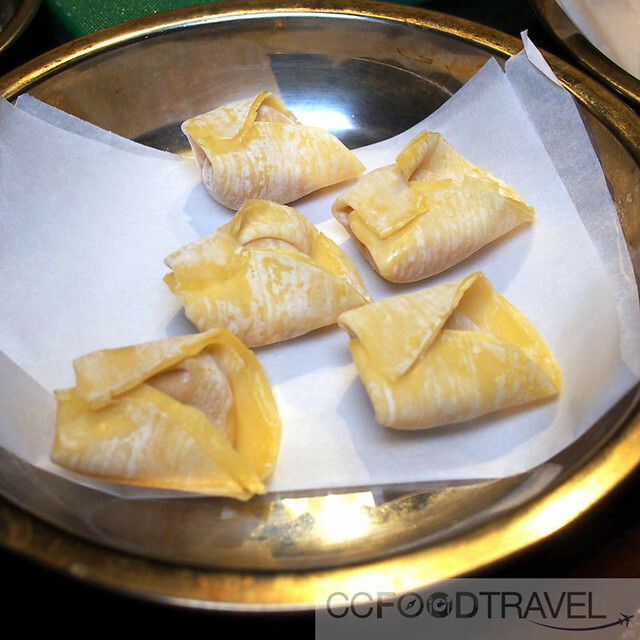 The dining experience was supposed to mimic that of eating the Sarawak Laksa. Here, the components were all served as separate entities, but eaten in one swift mouthful. 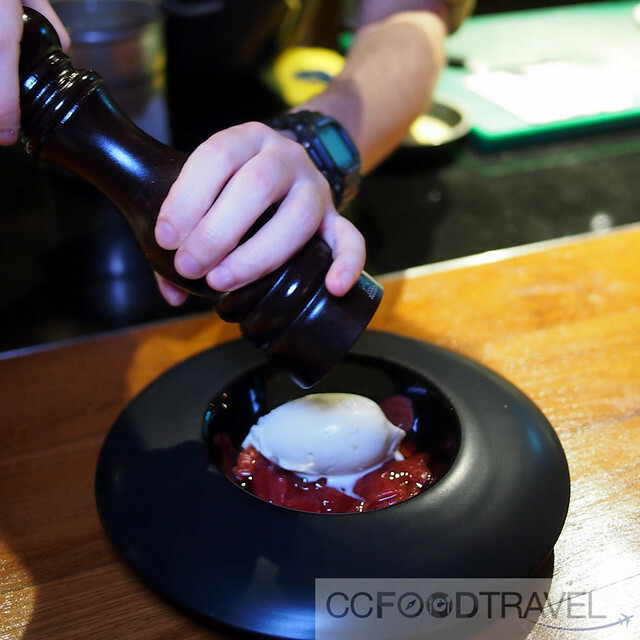 Local prawns, Laksa stock infused in ‘caviar’, prawn cracker (sprinkled with prawn shell dust) and spicy Laksa oil – a streetfood favourite elevated to molecular gastronomy echelons . 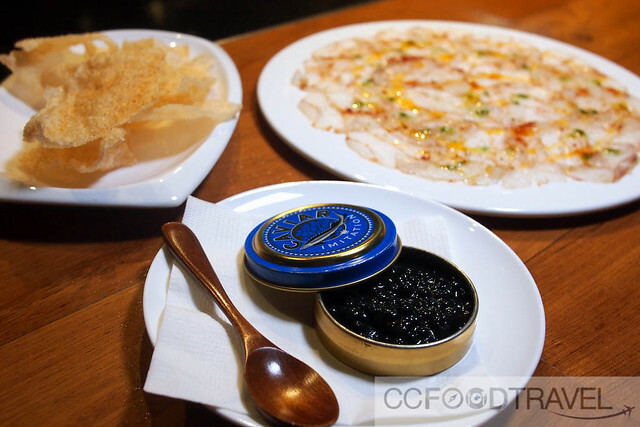 When you eat it like this, you get explosions of ‘caviar’ and laksa soup mixing well with the sticky prawn carpaccio. Super sweet, savory, yet decadent. Loved it. For seafood lovers, this next dish of octopus is a must order. Succulent and briny, what’s there not to love. And this modern take on the Octopus taking inspiration from the Kristang people of Malacca was rather good. A smoky soup based on the Portugese Caldeirada de Peixe (fisherman’s soup) and Nyonya rempah brought the tentacle to life! Most delicious. This next dish of Sous vide lamb was flavourful but we found the meat really well done and dry. It’s supposed to be this way as it is sous vide, said the chef. Another highlight for us was this dish of Curry Leaf Ice Cream, served with strawberry Szechuan pepper and jasmine green tea gelatin. Loved the sugarless ice cream infused with curry leaf flavour. What a clever way to make savory ice-cream and the sichuan bits that was measured to perfection (so as not to overpower each mouthful) was a nice surprise. Previous articleOne un-pho-getable Pho, coming right up!